Mada'in Saleh ("Cities of Saleh"), also called "Al-Hijr" or "Hegra", is an archaeological site located in the Sector of Al-`Ula within Al Madinah Region, the Hejaz, Saudi Arabia. A majority of the remains date from the Nabatean kingdom (1st century CE). 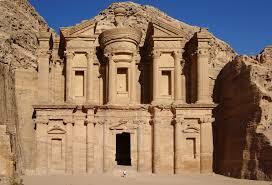 The site constitutes the kingdom's southernmost and largest settlement after Petra, its capital. Traces of Lihyanite and Roman occupation before and after the Nabatean rule, respectively, can also be found. The Qur’an places the settlement of the area by the Thamudi people during the days of Saleh, between those of Nuh(Noah) and Hud on one hand, and those of Ibrahim (Abraham) and Musa (Moses) on the other. According to the Islamic text, the Thamudis were punished by Allah for their practice of idol worship, being struck by an earthquake and lightning blasts. Thus, the site has earned a reputation as a cursed place — an image which the national government is attempting to overcome as it seeks to develop Mada'in Saleh for its potential for tourism. In 2008 UNESCO proclaimed Madaʼin Saleh as a site of patrimony, becoming Saudi Arabia's first World Heritage Site. 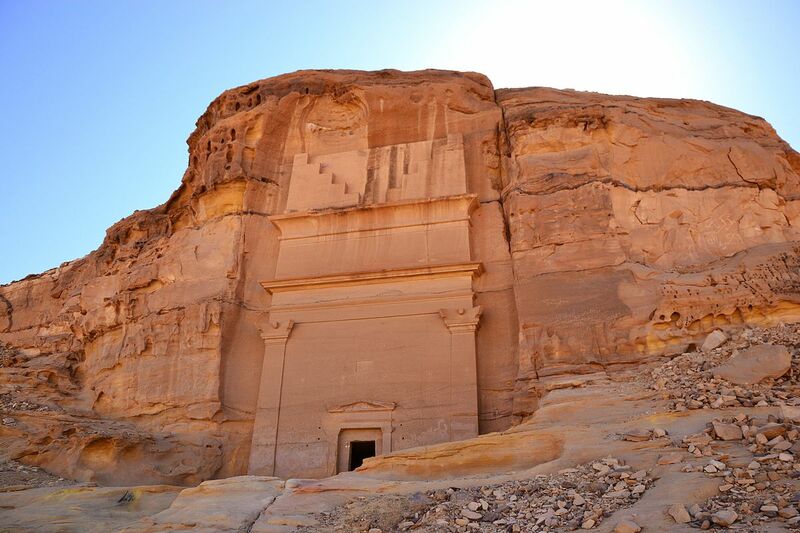 It was chosen for its well-preserved remains from late antiquity, especially the 131 rock-cut monumental tombs, with their elaborately ornamented façades, of the Nabatean kingdom.